How to Install Call of Duty Legends of War Android . Call of Duty Legends of War Soft Launched in Australia for android, iOS version not come yet. But now question is how to install soft launched version on Android, here i am written the post about it so you can install it on your device. You can download and install it from two method. first one is you can direct download from google play store, second one is install apk and obb on your device . lets simply both the methods below . How to Install Call of Duty Legends of War on Android. It is first method, in this method you can first clear your play store data . Download Any VPN App . Select Australia VPN than install it from Google Play store . How To Install Call of Duty Legends of War Apk Data on Android . Than Download Call of Duty Legends of War from below link. 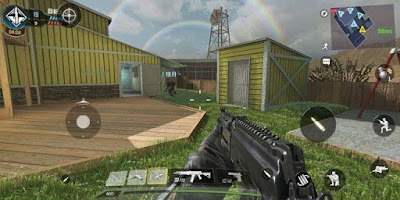 Install Call of Duty Legends of War Apk . You can also see the Gameplay video of Call of Duty Mobile, how game looks like in graphics . In My opinion game looking excellent, it's looks like console Call of Duty game .